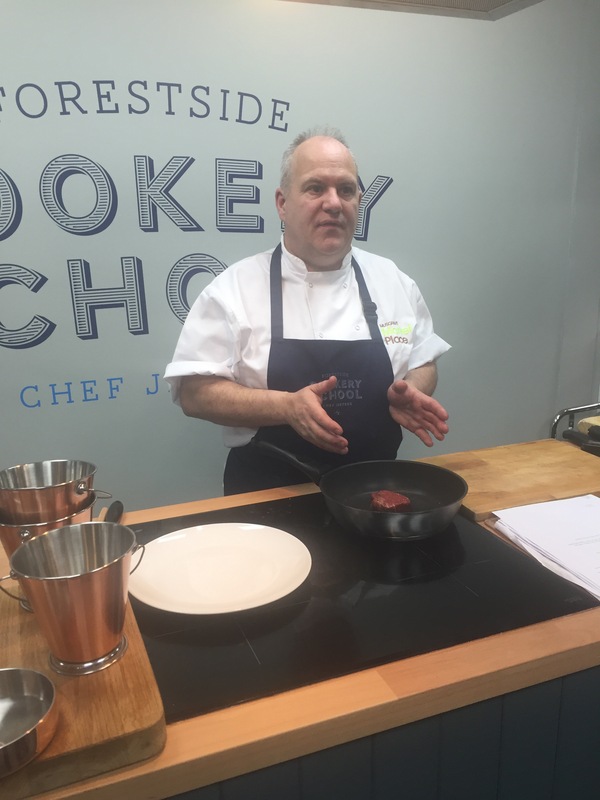 Last week I was invited to try out a new cookery school at Forestside Shopping Centre. Having lived in Newtownbreda throughout my teens and twenties, Forestside is the only placed I used to venture for shopping, so jumped at the chance! 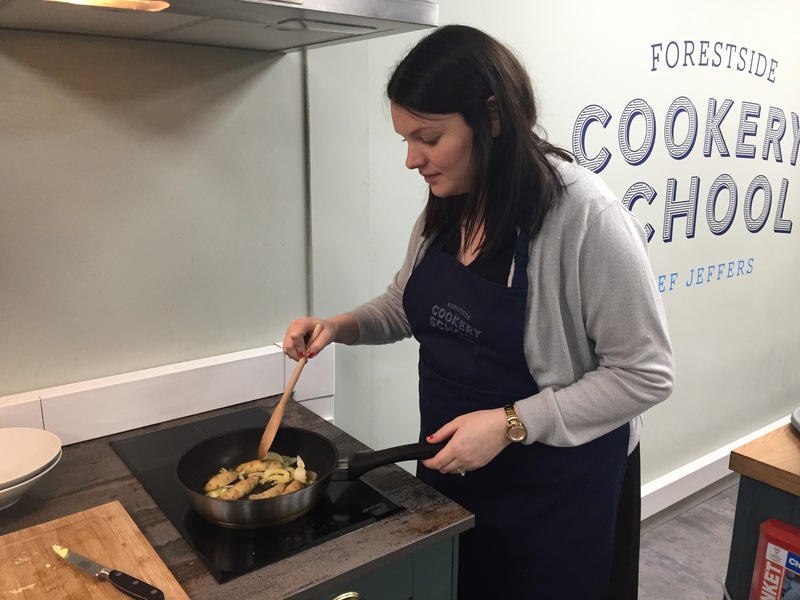 The cookery school opened up last month, hosted by chef Stephen Jeffers (formerly Belfast Cookery School) and is located on the 2nd floor of Forestside, near the Sainsburys’ end of the mall. The custom-built space accommodates sixteen fully equipped work stations and one demo station. 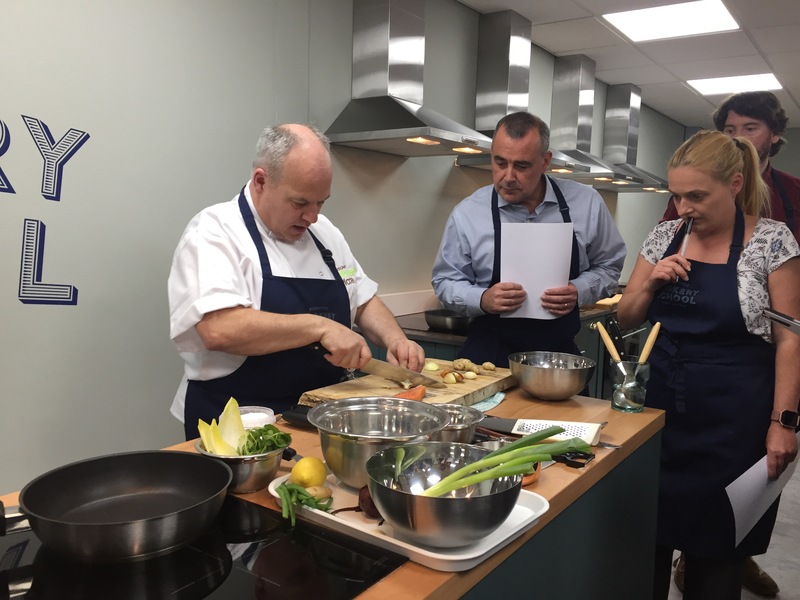 Visitors to the cookery school work in various stages, watching the chef’s demo first, and then recreating this course or part of the course. This is under the guidance of the chef who continually walks around the room making sure everyone is getting on ok! 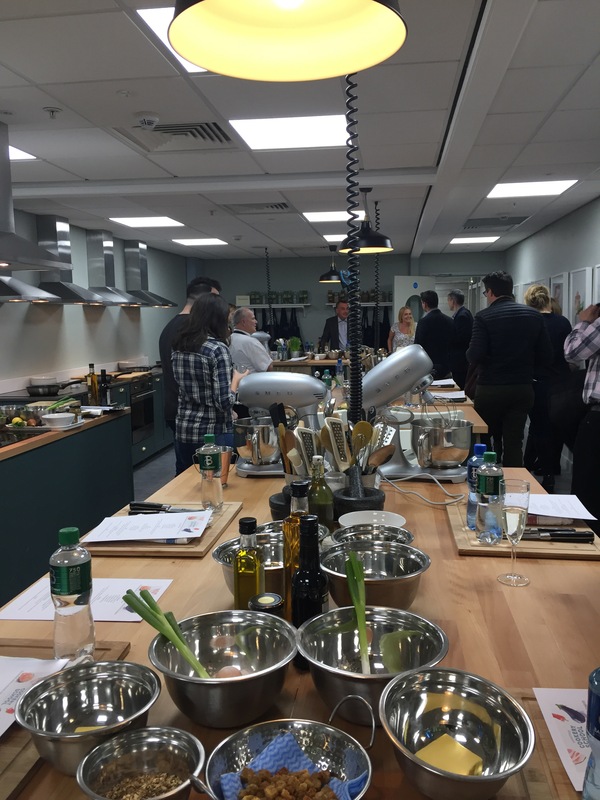 Class members then get to eat the course before the next demo and the chance to cook again! 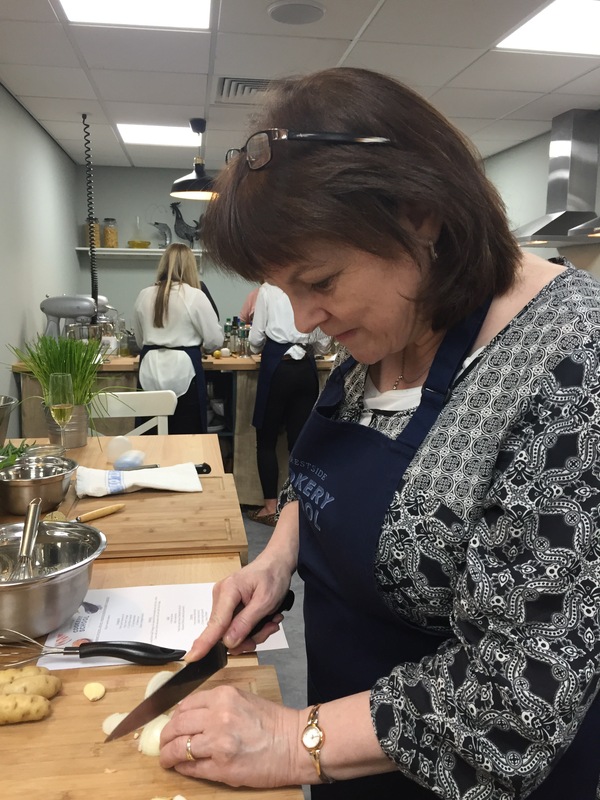 My mum and I visited the school last Wednesday night where a three course meal was in store- 2 cooked by our very own hands and the final course cooked by Chef Jeffers. The starter was hot smoked salmon with garlic potatoes and salad. 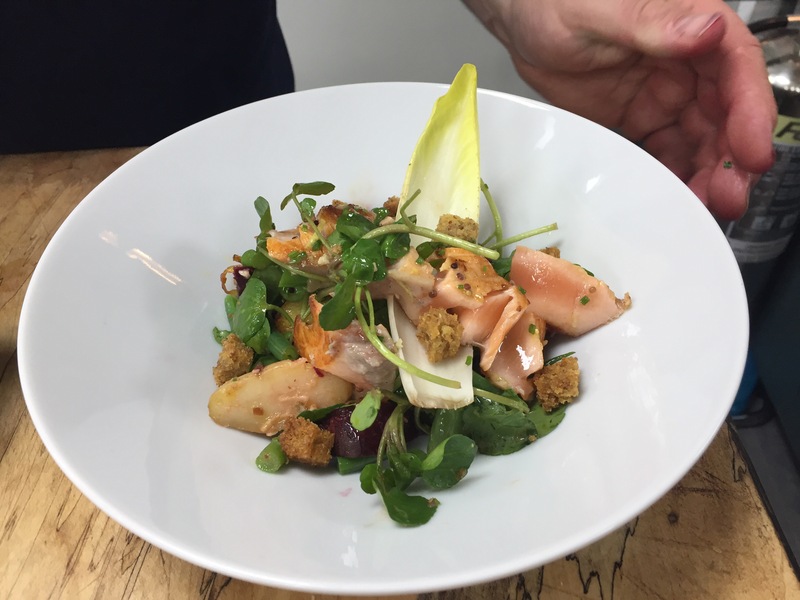 The salad was a mixture of chicory leaves, baby watercress, fine green beans and beetroot, drizzled with our homemade vinaigrette consisting of rapeseed oil, sherry vinegar, Dijon mustard, horseradish, lemon zest and chives. The salmon, which we flaked over our salad and garlic potatoes, was cooked for 1 minute on each side. The first course was incredible (if I do say so myself!) and it was great to see that such a delicious dish was really quite simple to make. 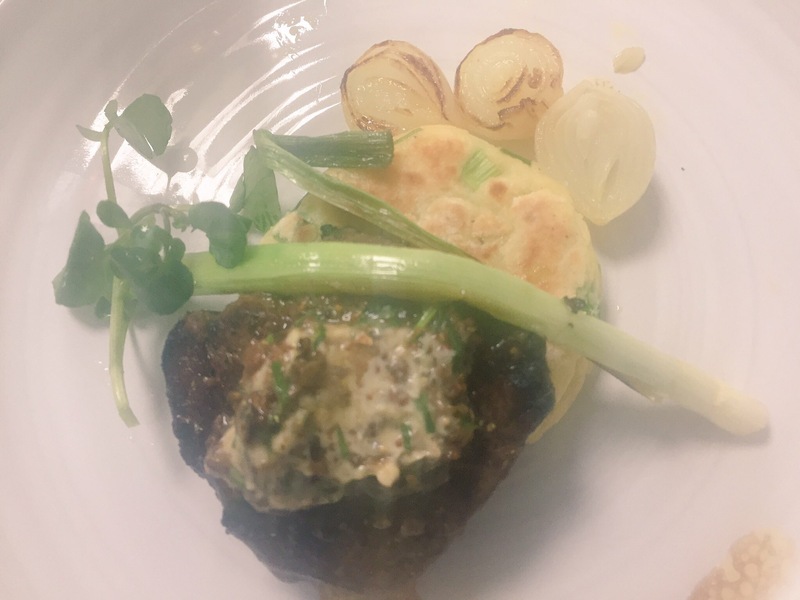 After scoffing down our first course, we then moved on to the mains- fillet of beef, with cep butter and leek and truffle potato cake. We made the potato cake with mash potato, flour, egg yolk, baking powder, truffle oil and chives or scallions. We also made the cep butter with butter, dried ceps, tarragon, whole grain mustard and flat parsley. 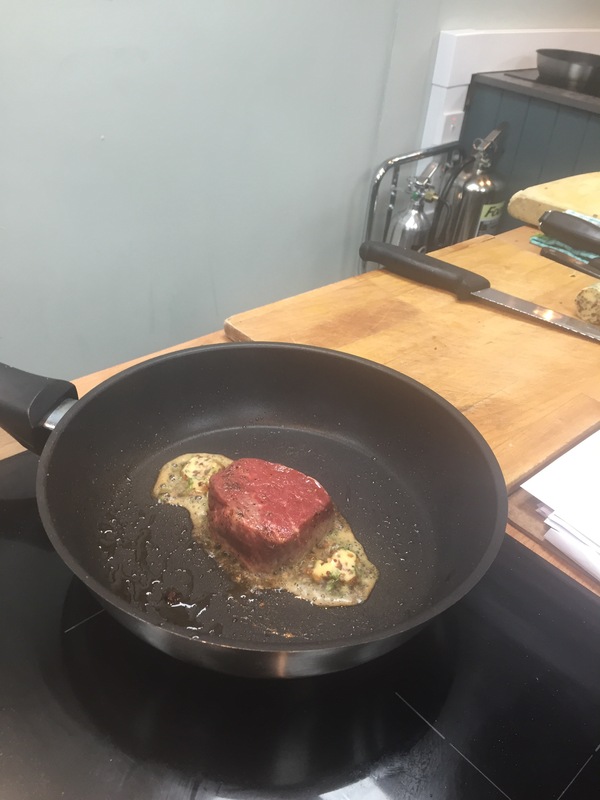 It was then time to cook the star of the show- the 120g Irish beef fillet. Mum and I both like well done beef so we cooked ours for about 6 minutes on each side. Once again, the course was perfect and I was surprised I had cooked such a tasty dish! 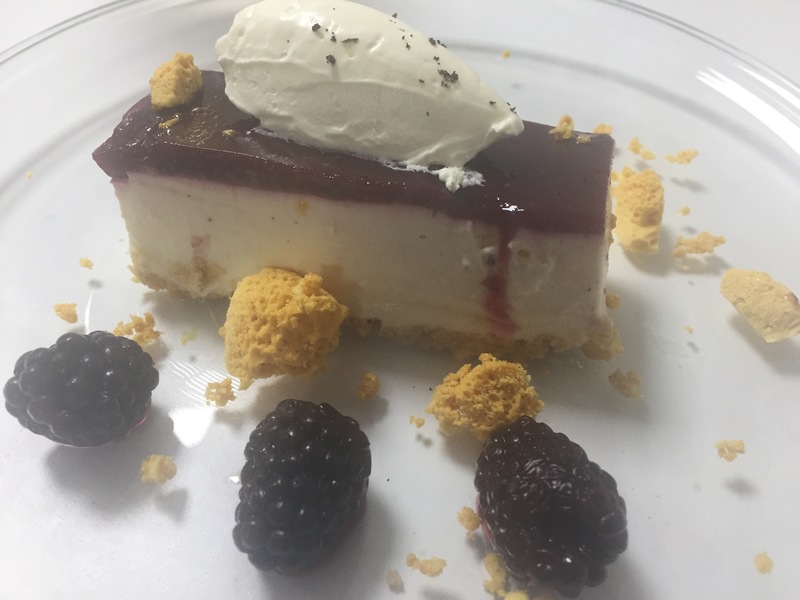 For the last course we were treated to a wonderful cheesecake made by Chef Jeffers! We liked the evening so much that my mum and I are already looking at another class in the next few months before the baby arrives!